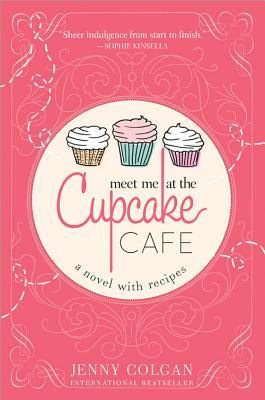 Meet me at the Cupcake Café is a lovely novel about a lovely woman, Issy, who is looking for a new career having failed fantastically at love and been made redundant from her job. Despite the dismal beginning the tale is sweet like cake and the characters are all warm, delicious and mix well together to form a delicious concoction. Issy’s personality is much better suited to running her own cupcake shop rather than working in a high stress real estate agency and it’s completely clear that her boyfriend (from the agency) is not the man she’s going to end up with. Her interest in the new man (Austin) is a bit obvious but took nothing away from her empowerment in setting up her own business. What is special about the unfolding romance is Austin himself, a man perfect on paper, in person and who is also in charge of raising his little brother? What could be better for Issy who is feeling a bit left on the shelf in her early thirties? I particularly appreciated that Colgan made her an early 30’s heroine rather than the mid to late 20’s that seems to be the norm. One of my favourite things about Colgan’s writing is the details that make the places and people come alive. Issy’s apartment, with the pink kitchen, and the café’s details are important to paint a picture of Issy herself. I loved Helena, Pearl and even Caroline, but the most unique relationship was between Issy and her grandfather. I actually found it so poignant that I hope will come across the same for others. That bond is rare and very special. On the other hand Issy and her mother have one of the strangest relationships I’ve found in a book- there was clearly love there between them but a complete lack of interaction with each other until the very end. It might have been better to just leave her out completely. I’ve read Jenny Colgan novels before and I enjoyed them - this is light and airy (like a good cupcake) and a good summer read.